I write this the day before Spring Equinox, and I am pleased to say, although we still get the scattered odd snow, and colds and upper resp is currently rampant in my hometown, Spring is happening anyhow! My crocus bulbs have started showing purple buds, and the birdsong, and strong light are a very welcome break from the cold, and gloom of winter! I have all my seeds for the year already, and I’m going to start buying soil a couple of bags at a time this weekend to fill that new planter box I am thrilled to have! More than that, joint pain, fatigue, and cabin fever are starting to disappear! The month of April also sees everybody getting outside more, being cooped up indoors less, doing more Spring cleaning, and planning trips out of town to visit loved ones, and hit festivals. It’s a happy, and active time. For some of us, it means planning the Beltaine gathering. In years past, I have written a lot about our Beltaine gatherings. My health made it impossible for me to plan that some years recently- but this year, it’s on!!!!! Rather than rent a site at a natural area- you know, where we could do firepit and camping- I just booked the clubhouse at my condos. NOW, if it rains, we are covered! It’s also on the bus line, and right at my house. Everybody knows where it is, and it cost a small $40 rental. Win-win! I bring this up to speak about transformation. We THINK transformation is making EVERYTHIMG we expect happen exactly as we want it. That isn’t always the case. Sometimes, sure, but not always. Sometimes, we have to ADAPT to make something happen at all, as opposed to DEMANDING we 100% control everything down to the most minute detail. Being a micromanager hinders magic sometimes. We may move energy, but we do not OWN energy. We may be the reflection of the god or goddess, but we are ACTING in that role, and are not actually them. We are merely human. To accept things as they are, and change ourselves or approach to mirror reality is sometimes the most magical transformation there is. More on this topic, and a working to follow the theme, but first, I’d like to share with you a wonderful book I reviewed, and the amazing author’s interview. 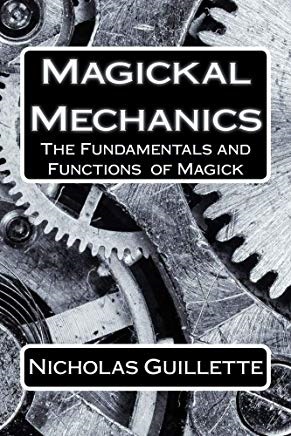 Nick Guilette is the author of Magickal Mechanics: The Fundamentals And Functions Of Magick, which I had the opportunity to review! This 2018 publication is a simple, no nonsense approach to the way magic works. I most appreciate the brevity of the 60 plus page book, which is broken down into 12 simple mechanics. It’s an easy read, and Nick’s writing voice has an easily understandable, poetic flow that draws you right in. I recommend the book. I was fortunate enough to not only review this good book, but also interview the author as well! Saoirse– Let’s discuss the book by highlighting one of the 12 points. Which would you prefer to discuss? Nick– Probably the biggest thing would be that magick requires physical action to manifest so #12, because a lot of people tend to think that after they do with spell it’s just going to manifest whatever they want without any work. 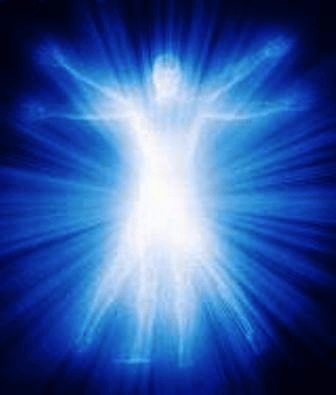 Saoirse– A gal I once used to know said “We are spiritual beings having a physical experience! “ Magic is just a PART of who we are as magic workers. Your example of trying to find a job is one I always provide. Sure, cast spells, but if you don’t send that resume out, you might not get a job! I will say, though, ONE time, I did spellwork, and it manifested on its own, but that time, I was told to wait by the goddess! Nick– Yeah sometimes things do come around when we wait but there may have been some elements there of physical manifestation you took part in doing. Saoirse-To me, spellwork is my last resort, but most of my friends who practice do magic first. Some say it gets you into the “headspace” to make things happen. Saoirse– Tell me about a time you used magic, and THEN did mundane work, and how it manifested? Nick– When I was trying to get one of my jobs I charged a sigil that I kept in the pocket of my dress shirt to help get the job. Then I did research on company policies and what their goals are and talked with people who worked there previously, practiced some lines for interview questions. At the interview I was filled with confidence and the right words seemed to flow through me, and I got the job easily. The interviewer during the group interview even paused at one point to ask me a follow-up question. I was the only one he did that for. I got the job easily. Saoirse– Let’s discuss having a magical mindset as opposed to wishful thinking. What are the differences? Nick– A magickal mindset is a way of thinking that knows cause and effect are connected in a way that you can manipulate. On the opposite, wishful thinking relies purely on hopes, chances and luck. Those that work with magick know they can change the dice roll in their favor with their manipulation of reality. Saoirse– What about when the magic does not work? What does that mean, and what do you recommend to people when they get to a place where that have tried everything, and there are ZERO results towards their goal? Nick– Sometimes magick doesn’t work because our deep-down beliefs don’t want it to work. Like when I would do spells for teaching jobs simply because of the money, but wasn’t ready, or really excited about actually getting the job. Subconsciously I didn’t want the job so I didn’t get it. It could also mean there is some other option they overlooked, or haven’t thought of that would be even better for them. Or during spellwork, their intention wasn’t focused enough, or their spell wasn’t that powerful due to lack of energy. Many different factors could account for such results. Saoirse– I have noticed a lot of healing magic tends to go awry. I am pretty sure these folks want it , and have done all they feel is necessary. I know a lot of cases where folks do what the doctors tell them on the mundane levels also, as well as ascribed magical workings. Still no healing. In a situation where somebody does “all the right things” and still no results, for something necessary, and for something that it would SEEM like it would be done, what are the causes perhaps? Nick– Meddles intention, unclear focus, unclear energy. Like doing everything right when you’re tired, Your words can still come out funny. Saoirse– So, it sounds like you are from the school of thought that a true magician can manifest anything her or she wants if only the magic is good enough. Yes? Nick– The magick being their intention, planning, execution and follow-through. Yes. Although there are limits to what magick can and cannot do, which my book outlines. Saoirse– Yes, there are limits, I agree. Nick– Magick’s limits are mostly aligned with what can be created in reality, magick is a different way of manifesting, sort of. It’s like a detour. You still use a road, but a different one. Or a different type of fuel, per-se. Magick is akin to having a GPS when driving rather than relying on road signs. Saoirse-Next I’d like to know about you! Tell me about yourself as both a writer and a magical practitioner! Nick– I fell into magick because a girl I dated in college had 3 books on it and didn’t want me to read them or try anything on my own for fear of getting hurt. When we broke up I bought them and spent a whole summer reading Occult books from the bookstore and at my university library. I spent the whole summer alone doing rituals every night. That was back in 2008, so I’ve had a daily passion with it. And I started my magickology YouTube channel back in 2015. I wrote an entire book elaborating on how to work with the Simon Necronomicon, basically building around the text explaining everything but Avon would not grant me permission to publish it. So, I came up with the idea of writing my own books. And one night my fiancee gave me the idea for my first when she asked about the psychology of ritual. And I started writing my first book which was Magickal Theater. It took me 3 months. I wrote Magickal Mechanics shortly after. Saoirse– That is amazing! What projects are in the works next? Nick– Well I am working on an update of sorts to my book Handy Sigil Magick which is my own personal system for activating sigils through visualization and physical movement. Going to make it more complex and involved than it is. He can be reached at priestofthenecro@gmail.com. He always accepts emails from people wanting to suggest video topics or want to learn from him. As magic is often used to create change, one of the most important things we, as magic workers have to accept is that sometimes, we are trying for things that are not ours to try for. A lot of people think we can have ANYTHING we want if only we do all the right things to get it. Tell that to somebody who did a lot of healing work, and the person they tried to heal; never got better. Tell that to somebody who tried all they could to save their marriage, and the spouse left them anyhow. Tell that to somebody who worked for YEARS at a certain career, only to discover they belonged elsewhere. We are sometimes have to adapt. That might mean abandoning something altogether, or just changing our approach. Going along with Nick’s talk about action plus magic, my working will focus just as much on the mundane as the magic. Take a serious look. What isn’t working as expected in your life that you would like to improve? Do you need to completely walk away, or just change something? Like I had to change how I do my Beltaines, as opposed to completely giving them up, what can you adapt to? The first step is to identify that which you must simply abandon, or adapt to. Next, we will do spellwork first. You are doing a spell on yourself! Make a poppet representing you, or use a photograph of yourself for this. If you make a poppet, use something that is easy to burn. YES, you will burn a poppet of yourself, and the flames will IGNITE you to action, not destroy you! Next write all over your photo or poppet the things you want to change or transform. Burn the poppet to ignite you to impassioned action- and then go out and do what you wrote on the poppet you would. The spellwork is easy, as it should be a small part of the act. I am not one to “put it out there to the Universe”, and WAIT for the Universe to grant a wish! There will be times you have done absolutely everything, and all there is left to do is hope and pray, but for this working, it’s 10% spellwork, and 90% action. This is a surefire way to make changes happen!